﻿Churches having Bible clubs in public schools – is this a dream? No, it’s happening! Churches around the world are ministering to children through Good News Club in public schools. In June 2001 this privilege was extended to churches in the United States with a historical Supreme Court ruling (find out more). God has opened the doors of public schools to the Gospel! CEF is ready and eager to help churches enter the schools, fully equipped to share the Gospel and teach the Bible to school children and extend the biblical influence to families. This is accomplished through our Church Partnership Plan. Churches come to the partnership with the most important ingredient, God's people. 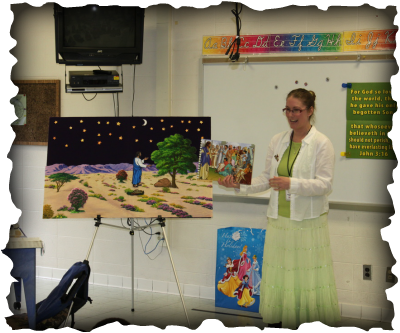 A team from your church will bring the Gospel of Jesus Christ to the school children. CEF offers specialized training for this endeavor. To find if a school in your neighborhood is available to adopt, contact your local CEF office. What is Good News Club? from Child Evangelism Fellowship on Vimeo. CEF of Indiana, Inc. State Website: Child Evangelism Fellowship® of Indiana, Inc.